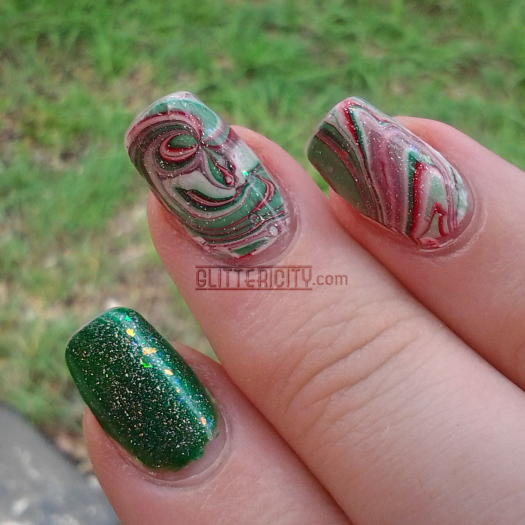 Today I have a festive water marble topped with a very special seasonal polish from piCture pOlish called Holiday! 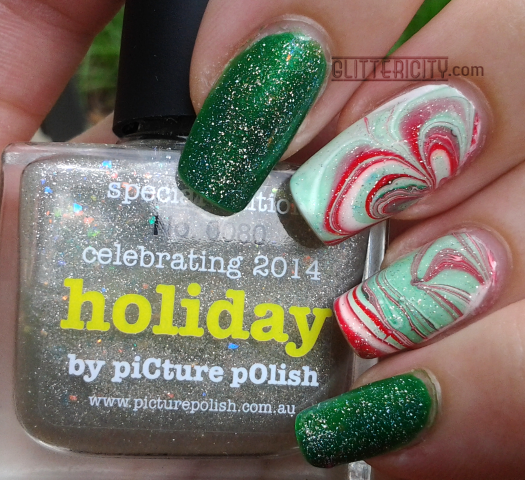 Holiday is a lovely scattered holo-glitter topper with multichromatic flakies in as well! It's super gorgeous in low or bright light. It looks absolutely amazing over dark colours. This is a limited-stock polish with individually numbered bottles. 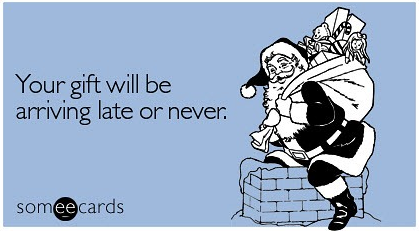 I'm actually surprised to report this, but it's still in stock now--grab it before it's gone! On my index and small fingers, I've applied two coats of Sally Hansen Xtreme Wear Emerald City, and then two coats of Holiday. For the rest of the nails, I've marbled some classic Christmas colours--Ulta Snow White, Revlon #680 Revlon Red, and Revlon #571 Posh. 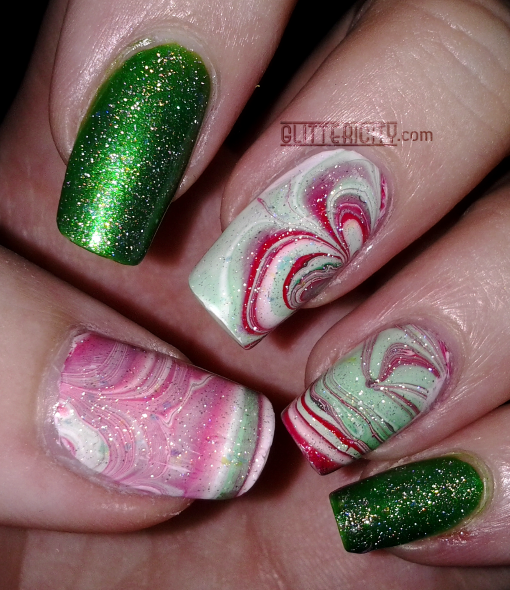 These cremes worked well together, and I added just one coat of Holiday over these nails. And then, of course, topcoated with Seche Vite. I love water marbling, and I love holo sparkles :D This topper is a really special one to own and I'm happy I got in on the fun!